Check the Store layout in printer box. The type of memory (DRAM or flash) depends on your situation. Consult us or your IT team for your specific situation. Use this variable as layout name is optional but highly recommended. It is uses to assign name to the image to be stored on the printer. 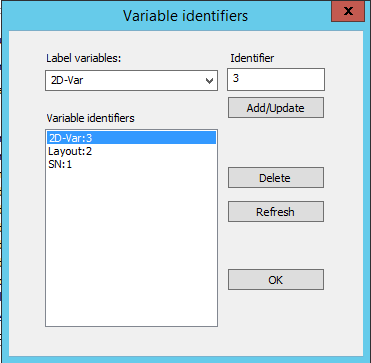 In the example below, the name LAYOUT refers the a ‘When Printed’ variable in the label. It contains the actual name to be used. 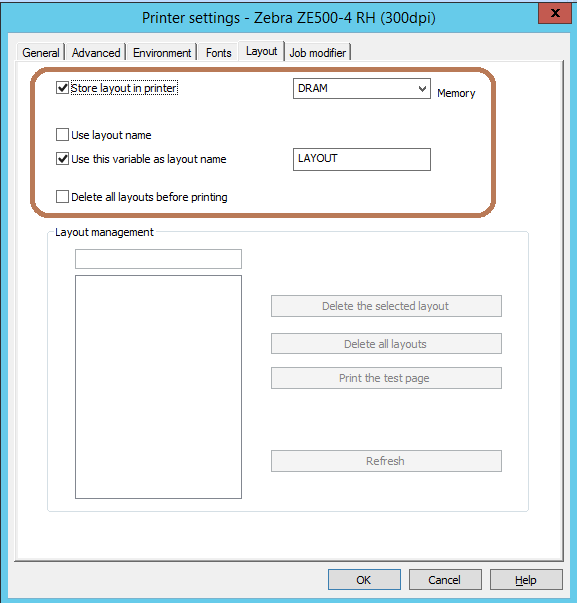 Check the Delete all layouts before printing is also optional. It will clears the printer for all images before storing a new one. When you print this label to the printer, nothing obvious will happen. You may see the data light (if the printer has one) flash briefly. 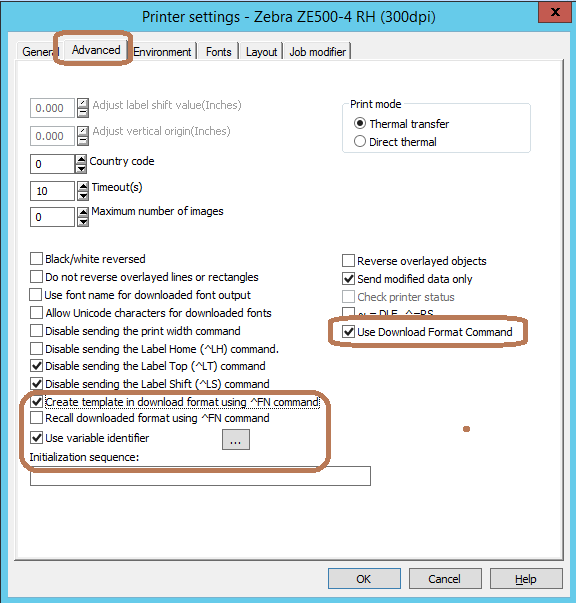 If you are able to upload the label file commands into the printer memory but sending print jobs to it fails to work properly, we recommend updating to the latest TEKLYNX printer driver and trying to upload the file again. If, after updating the driver, it still fails, you may want to analyze the ZPL instructions. 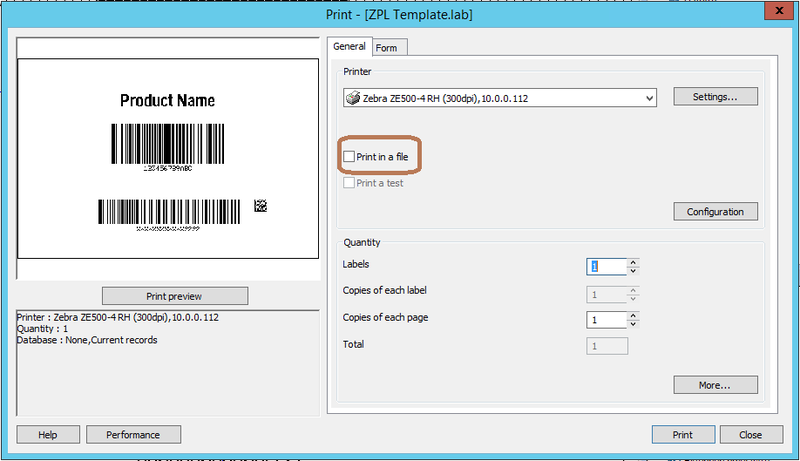 If you are familiar with ZPL printer language, you can select the Print to file option in the Print dialog box. It will send the output to a text file. You can review it for accuracy. You should see a ^DFR command near the top. This tells the printer to store the commands listed after it into the printer memory.